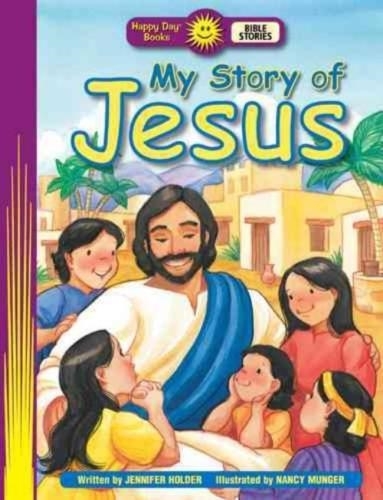 My Story of Jesus Happy Day Book Level 3 by Jennifer Holder. SAVE 50%. Look inside to learn about who Jesus is and the things that he did! This early reader 16-page book teaches kids about the Bible and character traits. Dimensions Weight 1.3 Oz Height 0.1 In. Width 6.1 In. Length 8 In. Sweet Dreams Hardcover Book by Cassie Byram. Save 85%. Card Game - In the Footsteps of Jesus. SAVE 80% Sweet Dreams Lullaby Scripture Songs CD by Cassie Byram. Save 85%. Make-A-Match: A Fun Bible Verse Memory Card Game. Save 75%.